The Whisky Tumblers are a delicate curved design with spiral cutting and three Swarovski crystals bonded on to the glass. 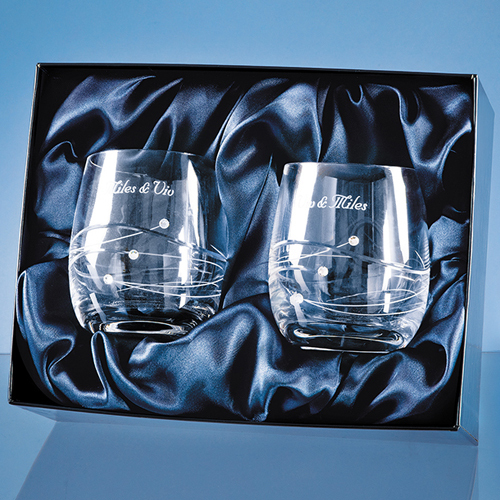 There is an area for engraving and the glasses can be personalised with any wording, logo or crest. Presented in a satin box they would be a great celebratory wedding or engagement gift.